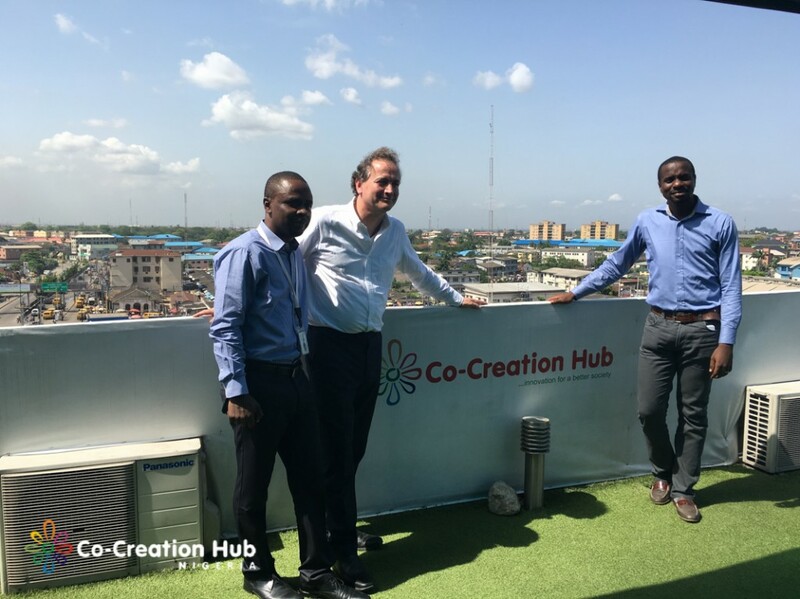 On the 13th of April, 2016, the United Kingdom’s Minister of International Development (DFID), Nick Hurd accompanied by other officials of the UK’s DFID, visited Co-Creation Hub (CcHUB). The purpose of the visit was to learn more about the innovative technology solutions within the hub and also look at possible room for collaboration in the nearest future. As is our tradition, the Minister and his delegates were given a tour of Co-Creation Hub (CcHUB) beginning at the Mobile Experience Lab (MxLAB), the incubation space, the community space and the rooftop. At the incubation space, the Minister met with 6 startups which include: Truppr, Lifebank, Genii Games, BudgIT, Mamalette and Grit Systems. We are enthusiastic about the attention and buzz the Nigerian tech industry is getting and we look forward to positive collaboration that foster better relationship between the Nigeria and UK tech industry that could lead to impactful investment and promote globalization. The guests were welcomed by Femi Longe, Director, Open Living Labs (OLL) and Tunji Eleso, Managing partner, Growth Capital.